Black Sabbath Returns To US For 2013 Tour – Hell Yeah! Their North American tour kicks off with a show in Houston, TX, on July 25, 2013, and wraps up in LA on Sept 3, 2013. Stops will include Philadelphia, Boston, Tinley Park (Chicago), San Francisco, Irvine, Tampa, West Palm Beach, Holmdel, NJ, Los Angeles, Seattle and Toronto, and Vancouver. (Full list of tour dates below). Wow – I still remember when I saw Black Sabbath for the first time. I was a sixteen year old kid living in Petersburg, Virginia. If you haven’t ever heard of Petersburg, you’re not alone. Even though Petersburg is still considered a transportation hub, my hometown hit its peak all the way back in the nineteenth century. With a population of around 36,000 when I was growing up, Petersburg was never tiny. However, it definitely wasn’t a hotbed of activity either. And even though it doesn’t seem so bad now, at the time my teenage angst made Petersburg feel like the dullest and most oppressive place in the world. Before you fall asleep reading my life story, the reason I’m talking about Petersburg is because it’s about thirty minutes from Richmond, VA. So when my buddy told me in May of 1972 that Black Sabbath was going to be playing at the Richmond Coliseum on July 25th, I almost had a heart attack from getting so excited. At that point, I had all three of their albums in my collection, and I couldn’t wait for them to release Vol. 4. This was a band that had me completely hooked from the start! 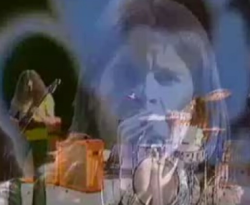 When I first heard Evil Woman in 1970, I honestly didn’t know what to think of the music that was going into my ears. What I did know is it sounded like the coolest thing I had ever heard, and I knew that I wanted to hear as many more of their songs as possible. As I started listening to more of their songs like The Wizard and Wicked World, my excitement for this hard rocking band only grew. Several of my buddies were just as infatuated with Tony, Ozzy, Geezer and Bill as I was. But what’s funny is our enthusiasm wasn’t shared by everyone. Even though Black Sabbath is now recognized by the music world as pioneers of heavy metal, plenty of critics initially dismissed their music. Not surprisingly, my parents weren’t fans. At the time, I thought they only cared about ruining everything that was cool in the world. But just like so many things from teenage years, I realize now that my parents were actually pretty tolerant with me. The only complaint I ever heard from my mom about my Sabbath albums was when I cranked them a little too loud. That being said, I knew there was a big difference between listening in my room and my parents letting me drive all the way to Richmond to see the band live. So, to make a long story short, I came up with an elaborate story about spending the night at a friend’s house. And even though there were plenty of holes in my plan, things worked out and I actually made it to the concert. I’ll never forget what it was like to see Lommi wailing on the guitar while Ward punished his drums like there was no tomorrow. 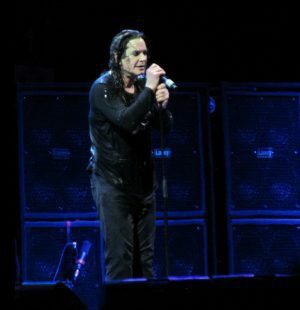 And even though it’s hard for people who only know him from reality TV to imagine, Ozzy was absolutely untouchable on vocals. Six years later, I was lucky enough to see them again in 1978 during my last year of college at the University of South Alabama in Mobile. Since that was Ozzy’s last tour with the band until they reunited in 1997, I’m so happy I didn’t miss it. Even though I remained a big fan and enjoyed all six albums that the band released during the 80s, I didn’t get a chance to see them live again until 1989. While that was a full fifteen years after I saw them live for the first time, they rocked Phoenix harder than bands half their age could dream of doing. The same was true when I saw them over a decade later in Detroit on July 30th! Because every single concert has been so memorable, it’s hard to believe that it’s been a full 12 years since I last saw them live. And while I’m obviously no longer a spring chicken, heading over to TicketStub to buy my ticket for their September 1st show at the MGM Grand in Las Vegas made me feel like I’m 16 again! Since Forbidden got panned by critics like Rolling Stone in 1995, I was so pumped that after their 18 year hiatus, they seemed back in top form for 13. It’s definitely become the soundtrack to my 2013 summer, and I cannot wait to hear them shred on songs like Loner and End of the Beginning live! Are you ready for the Black Sabbath? Be sure to Like, Tweet, G+ and Pin this page to pass this info on to your friends – and leave your comments below! I bet if I sit really far away they’ll look just like they did years ago! Hell yea is exactly right! They were before my time and I thought I would never have a chance to see them. So YEA, HELL YEA! I freaking can’t wait! I am going when Black Sabbath comes through Houston for sure!